From the first time we toured a Glas built house, we knew we wanted to have them build us a home. Their craftsmanship, attention to detail, and quality were truly impressive. 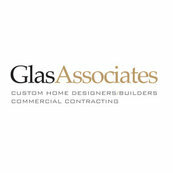 It wasn't until we actually built with them did we discover what an amazing company they are to work with. Charlie Glas is a very hands on builder. He worked with us every step of the way, with design, materials, & selections. We built with another builder where once the sale was done, you were turned over to another employee -- never to see the owner again. This is not how Charlie Glas operates. Charlie takes a personal interest in each home he constructs, and takes pride in the quality of the project. We trusted him and knew that our home would be of top quality and beautiful craftsmanship. and for the incredible home they will create for you. We love our new home! !